Google unveiled what may become the new internet. 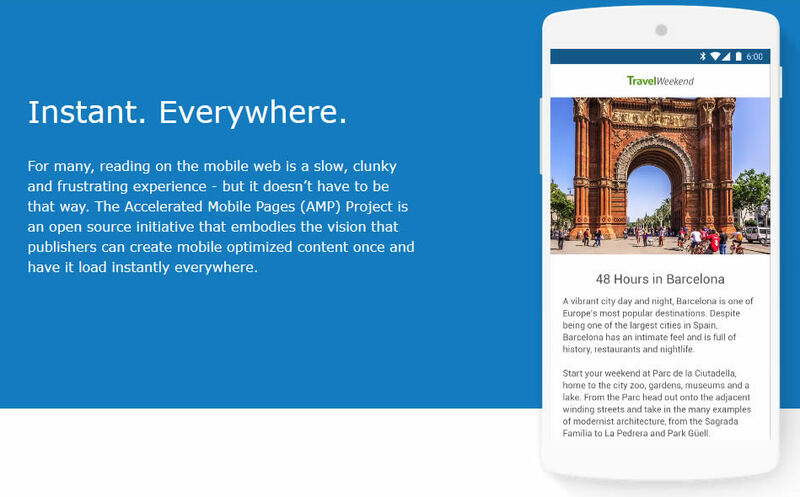 Their plan to speed up the mobile web is called Accelerated Mobile Pages, or AMP. When Google assembles an initiative this large, with major global partners it is worth keeping an eye on. AMP will attempt to do something significant: change the way that the web was built, while retiring some technologies and promoting others. No third-party scripts allowed! What are third-party scripts? Basically, every ad and every analytics package. Certain HTML tags are also banned: iframe, embed, object, and all scripts other than JSON (and the script that loads AMP in the first place). The main HTML5 multimedia tags, img, video, and audio, are replaced with custom elements amp-img, amp-video, and amp-audio. CSS is also limited in AMP HTML. One of the banned CSS properties are those used for simple animation like transition effects, zooms, pans etc. Custom fonts are allowed but limited in certain ways. By re-defining the rendering engine in a mobile browser, AMP can load or unload assets at will — without having to load images until they’re ready to be viewed. It can choose to load editorial text content first and ads second. AMP seems like a rollback of how HTML and web technologies have evolved over the past decade. So many of the sample AMP pages demonstrating this technology look a lot like the web of, say, 2001, shrunk down to a phone screen. AMP will allow you to maintain two different versions of your webpages (HTML and AMP HTML) or just convert entirely to AMP. Google has said it won’t prefer AMP pages over non-AMP pages in search. However, page speed is a factor in Google search results, with faster pages getting better rankings. We’ll keep watching this development, and experimenting with some internal projects.